The winding passes in the land of thousands pines will provide an enjoyable experience for nature-loving visitors. 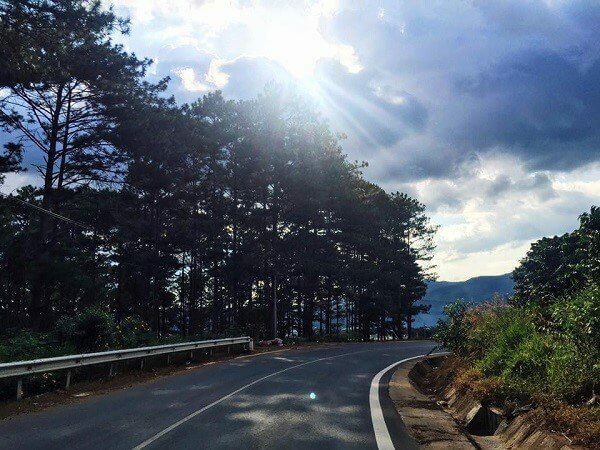 The winding road leading to Dalat (Lam Dong) has been known to many visitors as beautiful landscapes, only in the Central Highlands. Please visit Dalat once, you will have the opportunity to enjoy the poetry, picturesque beauty of the pass. Prenn Pass is 11 km long, about 10 km from Da Lat center. This is also the road from Lien Khuong Airport leading into the city. Prenn Pass has a moderate slope, winding through a waterfall of the same name. The two side of the pass are high rows of pine trees with beautiful views. This place is also like the charming pink silk of the city, thanks to cherry apricot garden spread along the road. On the pass, visitors can stop by, visit the white villa and discover the magic stories revolve around this house. At Prenn Pass, you will feel the cold of the mountain town even when it is sunny. Only from 13-14 pm, the road is be covered by clouds and fog. Ta Nung Pass is the route connecting the city center with Lam Ha District. The road is nearly 30 km long, with one side is high hills, the other side is the abyss, and the pines stretching. The majesty and danger of the bends on the road attracts tourists to hit the road. Ta Nung pass goes through a village with a tradition of silk weaving, so many people call it "Silk Road". 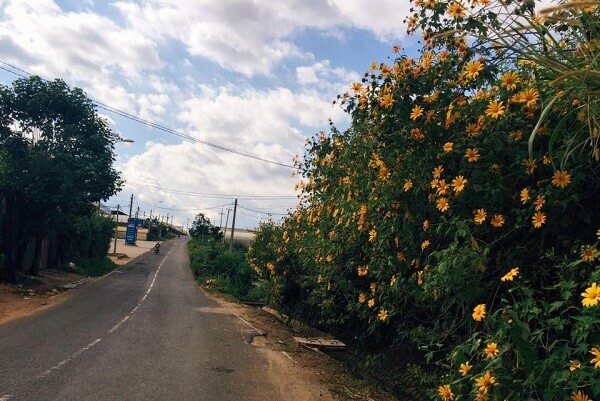 Between October and November, the two sides of the road are flooded with yellow flowers. Visitors conquering Ta Nung can also visit the temple of Van Duc, feel the peace of the Buddha. Bao Loc Pass lies between the boundaries of Bao Loc and Da Huoai, about 15 km in length with high sloping and bends. 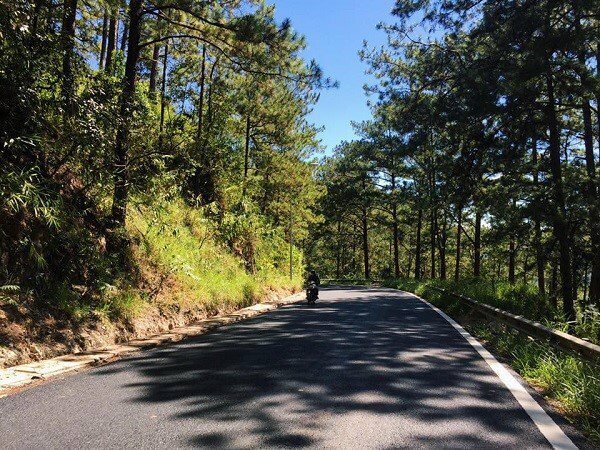 On the road leading to Da Lat, Bao Loc is the most dangerous road. The palace was once called Ba Co Pass, associated with the mysterious story of the unjust death of three young girls. At present, Bao Loc pass has been re-established, the road is wider and safer, so many domestic and foreign tourists come to enjoy the scenery of mountains and forests.